In the world of 15mm painting there are several painters that I consider to be of the first rank, i.e. those who push the boundaries to produce superbly painted 15mm miniatures. 15s can sometimes require a different approach when painting and this makes the work of these individuals that much more inspiring. If you're interested in painting 15mm miniatures to a high standard, I highly recommend visiting the sites below as they have much to offer, in terms of content, inspiration and the process involved. However, what I enjoy most is the painter's individual styles which over time become instantly recognisable. Diversity in painting styles is an excellent thing, and can sometimes give you insight into ways of doing things you might never have thought of. No site as such that I'm aware of, but a Photobucket album that contains many pictures of superbly painted miniatures. 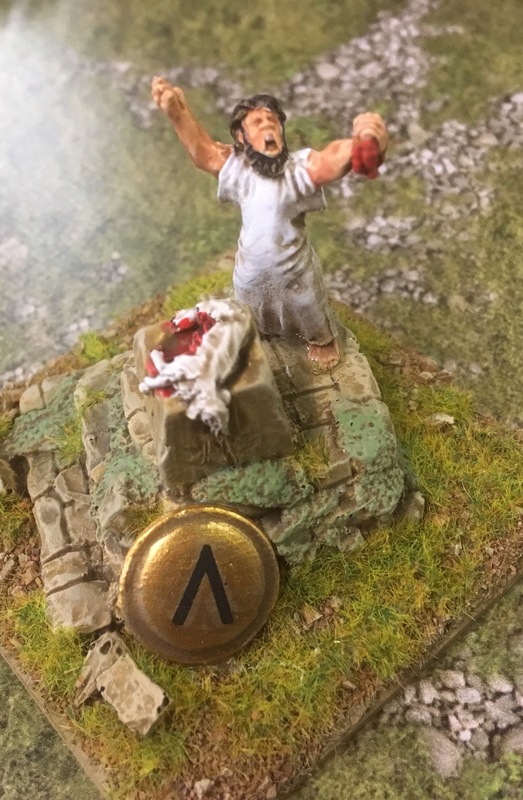 If you've visited the gallery section of the Flames of War forum over the past few years, you're bound to have seen his work. A great inspiration for me a few years back when I first started painting. Damn Troy can paint. The smooth and subtle blending on his Soviet Infantry is simply awesome. Someone who definitely believes Soviet infantry deserve more than a simple base-colour & wash: his Soviet Infantry Tutorial is a gem, the Panzer IV F1 Tutorial likewise. A few good reviews of Forged in Battle infantry (British, Germans, Soviets and support weapons) and an insightful commentary into Battlefront's horrible Early War British and Germans, one I happen to agree with entirely. Aka Ruben Torregrosa, whose painting you might have seen on Forged In Battle's vehicles. Some excellent tutorials: Masking vehicles with Blu-Tack, applying decals, paint chipping effects, and many other pages of interest. Definitely a site worth visiting. More superb painting from Roberto: from his excellent 15mm Hungarian Painting Guide and Hungarian StuG to the more recent Fallschirmjager Platoon. Some of the best-painted vehicles in 15mm (and other scales) you're likely to see anywhere. The new-ish Plastic Soldier Company T-34s are superbly painted, though there are numerous other pages on the blog to explore in addition. Though not painting-related, I feel I still need to mention the excellent terrain works of Big Gav at Sane Terrain.blogspot.com. Whether you are a Flames of War gamer or not, his terrain ideas and walk-throughs could apply to any period or scale and are well worth following. Though thankfully, I think it's beginning to lift. Not much to post right now, just a washed-out pic of a WiP StuG Platoon (getting a bit of practice in with the airbrush). Still much to learn I fear, though it is quite fun. These still need a wash for depth and some other detailing: quite new at this airbrushing business so we'll see how I go.